One of the primary reasons that customers request tree pruning in Bokeelia, Florida is the prevention of overgrowth. When your trees grow too much, too fast, branches can elongate and create unsightly offshoots. Beyond being unattractive, these branches can be a danger during storms, where they’re more likely to break off and cause damage to nearby structures. With the number of storms that Florida receives, it’s essential that home and business owners take the steps necessary to limit the possibility of storm damage. Young’s Tree Service recommends annual pruning to ensure the safety, health, and beauty of your property’s trees. We believe that this schedule is the best balance between over-pruning, which can be costly and, well, pointless, and under-pruning, which puts your property and the health of your trees at risk. 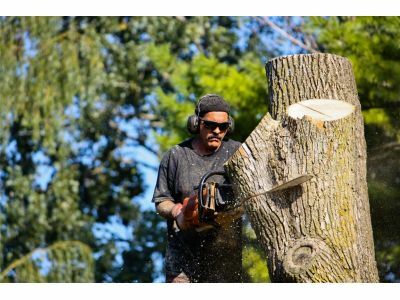 At Young’s Tree Service in Bokeelia, Florida, our goal is to help our customers maintain and safeguard their properties. Whether you’re a small business owner looking to make a great first impression on customers or a new homeowner interested in protecting your new investment, you can be confident that our team can help. If your property’s trees are looking a little shaggy and you need the help of a professional, contact us today to learn how we can help!